In its 35 years, the FOOD & WINE Classic has turned Aspen from an alpine escape with decent eats to a coveted stop on the gourmet circuit. 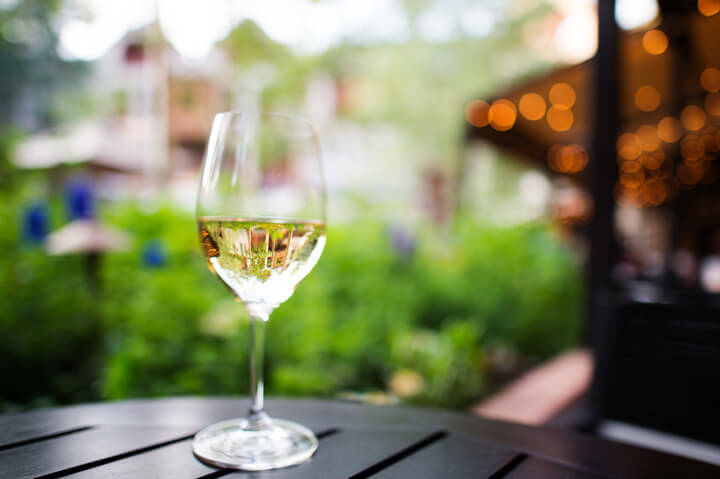 Each June, celebrity chefs and sommeliers land in Aspen for a three-day festival of seminars, demonstrations, parties, and tastings — all focused on what’s trending in the food and wine industry. This year’s anniversary fete is already sold out, but there are still plenty of ways to take advantage of the established wine experiences in Aspen. Slopeside drinks are nothing new, but on-mountain, pop-up bars are unique. That’s where The Oasis enters the scene. 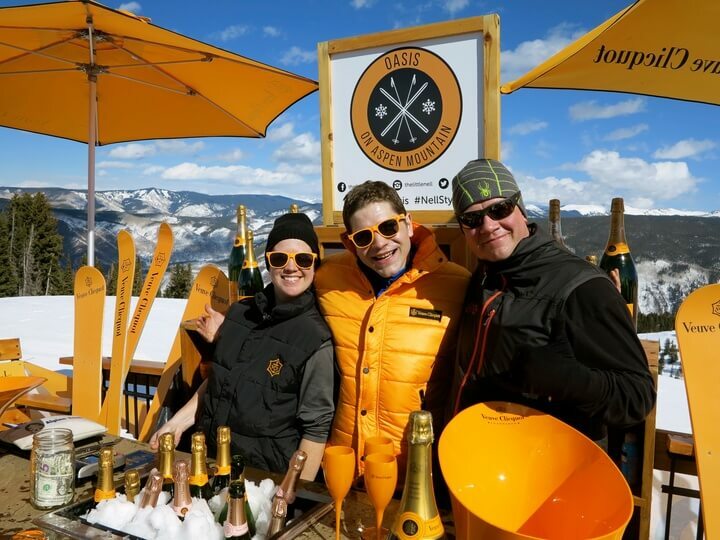 Come springtime on Aspen Mountain, finding the surprise Champagne bar on ski runs is a game with a delicious reward: Veuve Clicquot. Every Friday, Saturday, and Sunday follow The Little Nell’s (@thelittlenell) social media channels to find out where the marigold-colored chaises and tents will appear on the mountain, and then ski or snowboard that way to bask in the sunlight and sip on bubbly. Sunglasses required. If wine tasting out of the public eye is more your style, then head downstairs at The Little Nell, where the property offers exclusive wine tastings for parties of up to 20. Here, Master Sommelier Carlton McCoy will curate a menu for adventurous wine enthusiasts, while wading through regions like Burgundy and decoding riesling’s misunderstood identity. Or, oenophiles can make their own selections while enjoying the intimate wine cave. 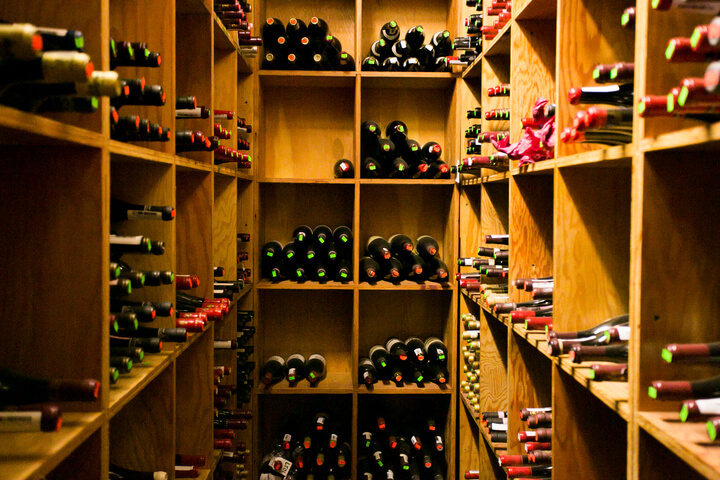 Browse The Nell’s Wine Cellar menu here. Wine lovers may not have the time to become actual Masters of their craft, but The Nell recently started offering a crash course in wine service and hospitality for people who work in the service industry. For the first time in 27 years, The Nell is opening its doors to share its legendary expertise with food and wine professionals looking to progress their careers with the new-to-2017 Little Nell Wine Academy. This comprehensive course touches on everything from dining etiquette to pairings. And with a restaurant that boasts dozens of sommeliers in its history, attendees are guaranteed they’ll be learning from the best in the industry. For more information, please contact Melina Glavas, Senior Events Manager at mglavas@thelittlenell.com, 970.920.6322. 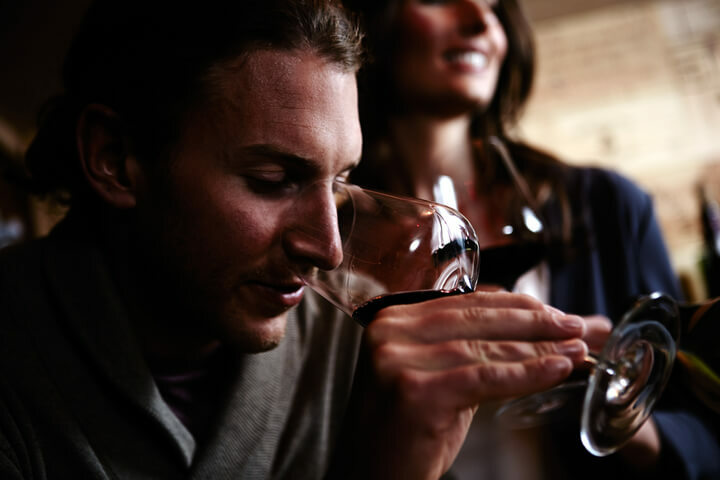 Any wine professional will attest that the best way to develop a wine palate is to experience it. That, of course, means lots of wine tasting and Aspen is not short on places to do it. Start with Cache Cache, an upscale French-bistro restaurant with a wine list that boasts more than 5,000 bottles. Sit in the moody-blue bar area and gaze into the wine room while being choosy about what they have to offer. Sticking with the European theme, drop into Le Creperie du Village for haute-alpine cuisine and Old World wines. Both the taste and the atmosphere will make you forget you’re in Aspen. Down the street, Victoria’s Espresso & Wine Bar is another casual locale for tasting wines from France, Italy, and Spain. Jimmy’s may be known for its tequila and mezcal menu, but they don’t skimp on wine either. The friendly servers here are happy to walk you through the menu, making sure that you’ll leave educated — but not thirsty. And naturally, one of the best places to learn about wine is through a dedicated wine class at the Cooking School of Aspen. Recently renovated, the inviting kitchen features everything from blind tasting workshops to après-ski seminars, and they’re led by entertaining experts. Book ahead as they tend to fill up. In Aspen, it’s always wine time.